These poems balance between the harrowing and the beautiful, hovering at the precipice where women are both horseback riding heroines and battered mothers striving to protect their homes, their children, their identities. These poems are knives thrown with precision, fairytales rendered real through the grit and dirt of the natural world surrounding their imperfect speakers. Social media helps us grieve our losses (“suicide, suicide, suicide”) and white rabbits lead us down the winding roads of our past mistakes (“Until / a man just became an escape hatch to another man, / and all the worlds were eventually the same”). 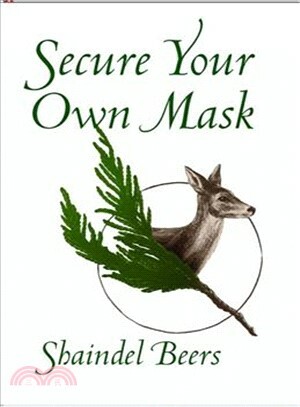 Transformations abound in this collection, though not by any conventional fairytale means, as Shaindel Beers with her knife-sharp wit and even sharper intuition unveils the nuance within the nuance of any situation. These poems don’t just seek escape—they create their own worlds within the escape hatches and (re)build from there. Shaindel Beers is the author of three full-length poetry collections, A Brief History of Time (2009), The Children’s War and Other Poems (2013), both from Salt Publishing, and Secure Your Own Mask (2018), from White Pine Press. She teaches at Blue Mountain Community College in Pendleton, Oregon, where she lives with her son Liam, and serves as Poetry Editor of Contrary Magazine.